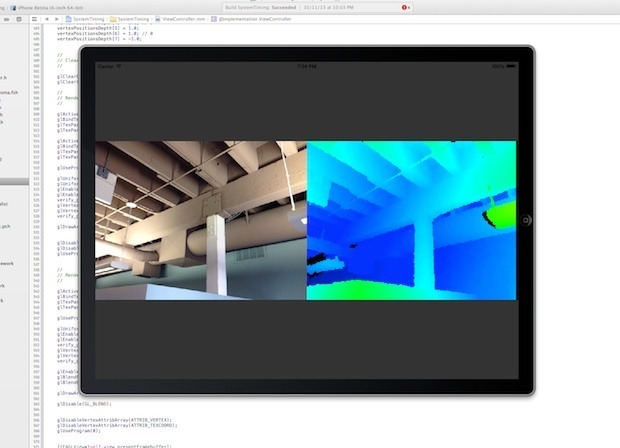 The Structure SDK provides low-level sensor access down to the raw data, so you can create whatever you want, however you want. We're giving you access to the same raw depth feed and low-level sensor controls that we used ourselves to create the sample apps that ship with the Structure Sensor. If you’d rather start where we left off, we’ve shipped a set of high-level APIs with the Structure SDK. These will include sample code for the sample apps that ship with the Structure Sensor: Scanner, Fetch, Room Capture and Viewer. It also includes code for the Unbounded Tracker 6DoF positional tracking demo app.